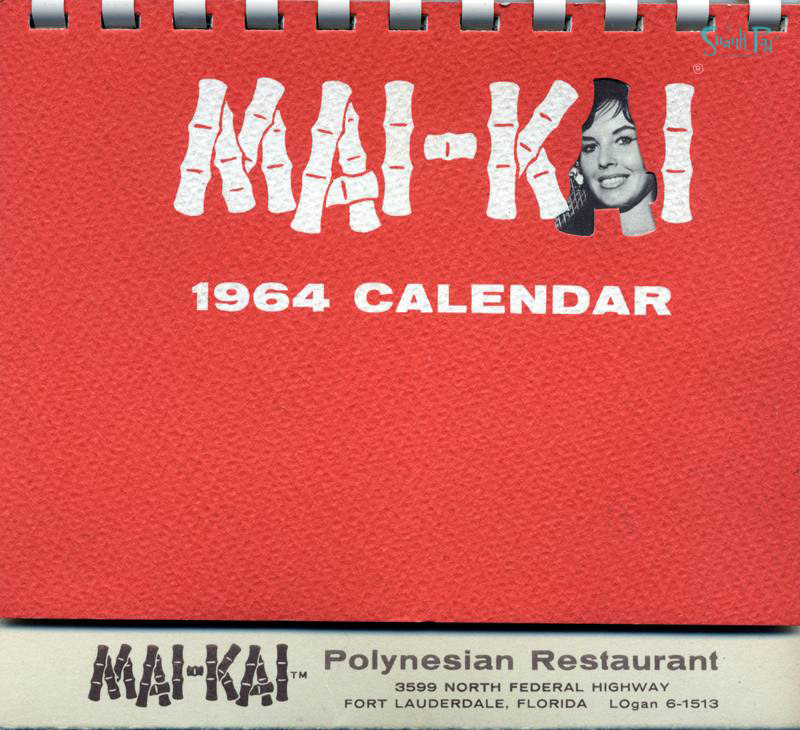 Back of the cover is a drawing by Al Kocab of the Surfboard Bar with the portrait of the president of the Okole Maluna Society and mugs of the members around it. 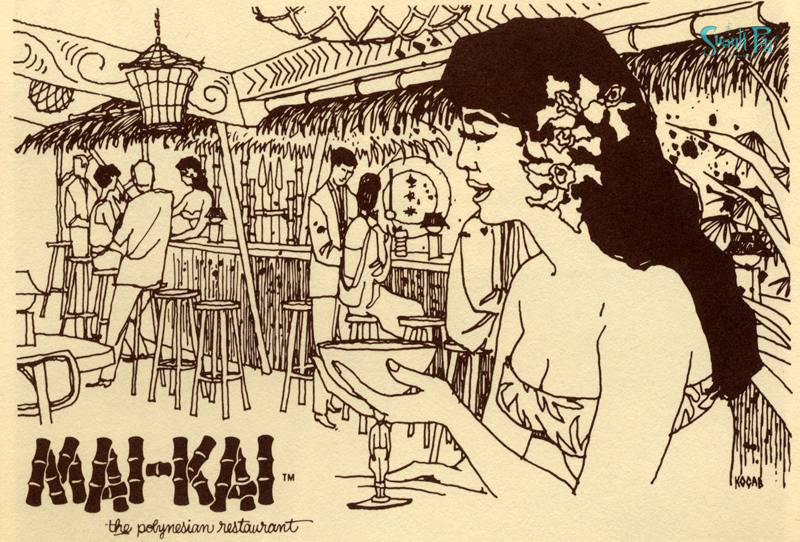 March 1964 - Ann - More on her here and in the Fall 2011 issue of Tiki Magazine. 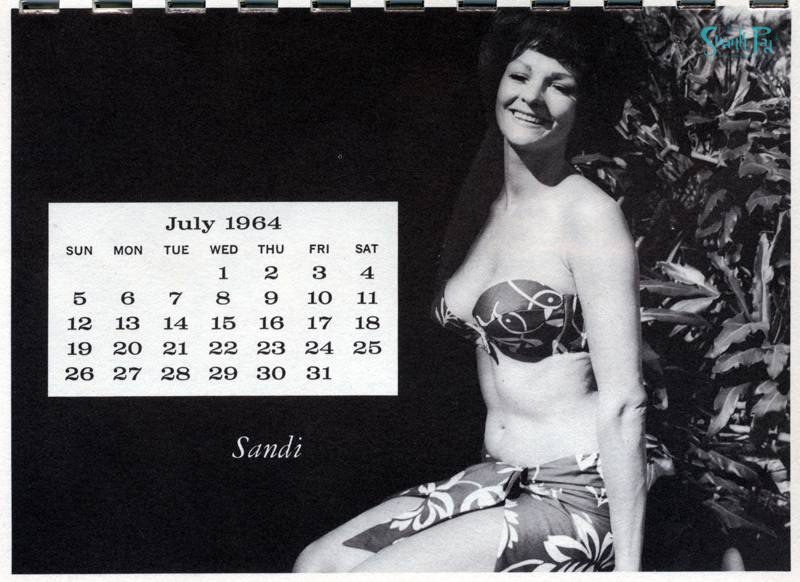 May 1964 - Sallye - Sallye was a former Vegas showgirl and daughter of baseball great Rip Sewell. She is said to have the most dramatic blue eyes imaginable. Here is an image of her from the cover of Baseball Digest in 1959. 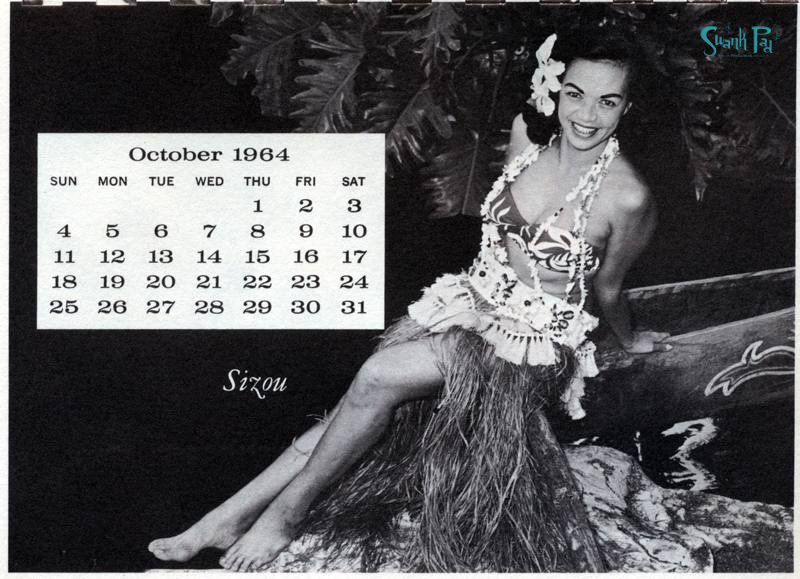 Another here describes her as a Dunes showgirl. She is also famous for being on the Tonight Show where she presented Johhny Carson with the Mystery Ceremony. 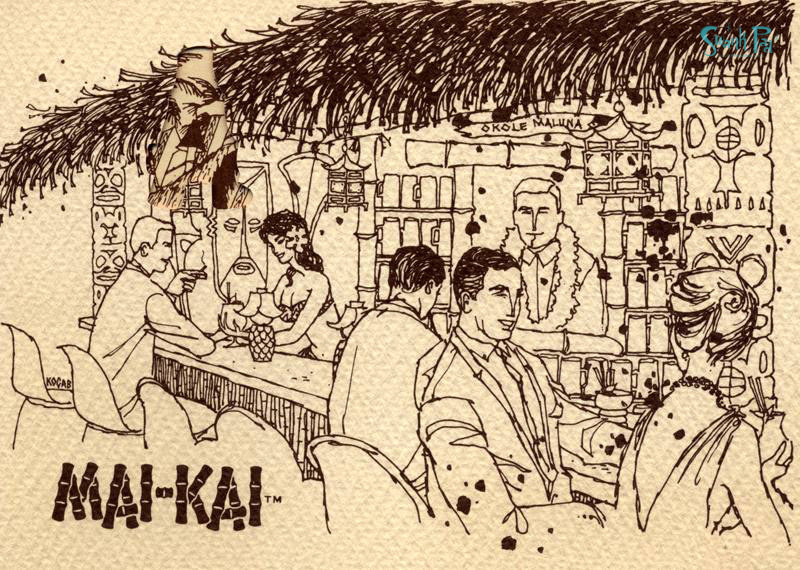 June 1964 - Kawana - look at the size of that Moai! 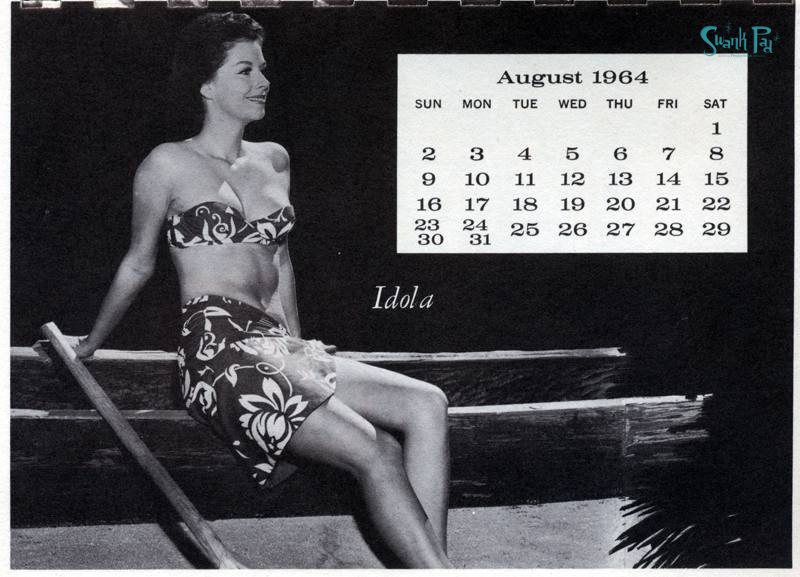 November 1964 - Dee, a Chicago gal who came to Fort Lauderdale for Spring Break in 1959 with her sisiter. 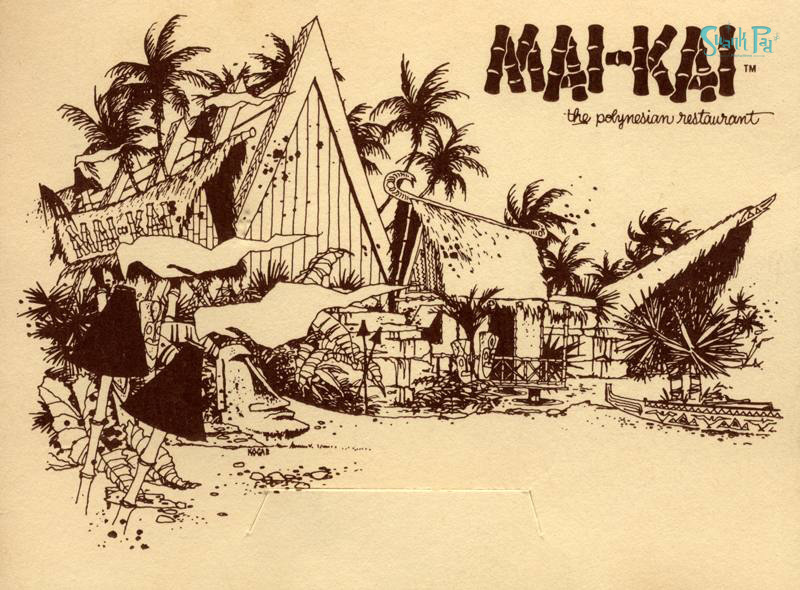 They met a couple of other Chicagoans named Thornton who offered them a job at the Mai-Kai. They packed up and went south! Her sister Angel was a Mystery Girl. 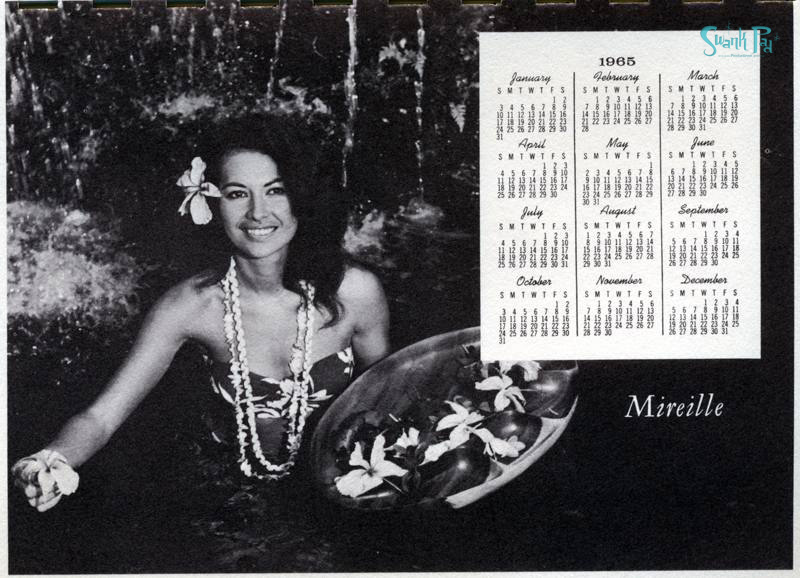 Final image of Mireille who became wife of original owner Bob Thornton in 1974. She became the choreographer in 1962, and still serves that role today.